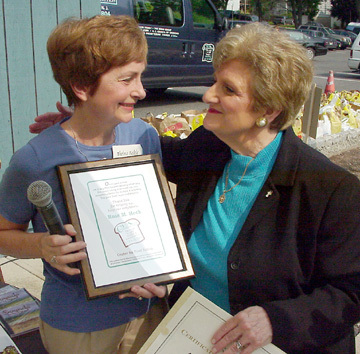 During the September 4, 2002 Good Neighbor Day Food Drive sponsored by Bill O'Shea's Florist , Assemblywoman Rose Marie Heck was showered with accolades by the Center For Food Action (CFA). Thelma Fedele, CFA Director of Community & Government Relations said, "Since the economic downturn, there has been a large increase in the number of people in need of food. 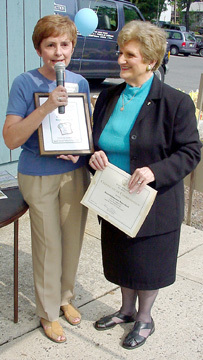 Assemblywoman Heck has been instrumental in making this need know thoughout our area. CFA truly appreciates her efforts." 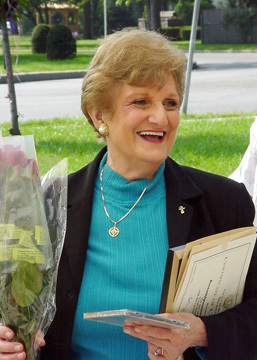 Ms. Fedele continued, "It is particularly fitting to honor her publicly on Good Neighbor Day, because she has been a good neighbor by raising awareness for the need of food donation in Bergen County. 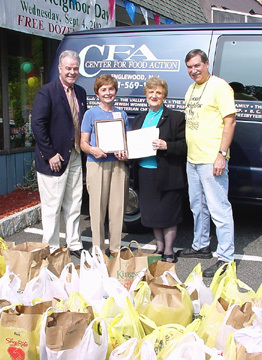 Bergen County Executive Pat Shuber stopped by with a food donation and also presented Assemblywoman Heck with "Certificate of Commendation" for her efforts. Jukebox Radio's (103.1FM) taped the presentation along with several interviews for later broadcast. Assemblywoman Heck reminded listeners of the continuing need for food assistance and stated that her office accepts donations on behalf of the CFA. Thelma Fedele, CFA Director of Community & Government Relations making the presentation. 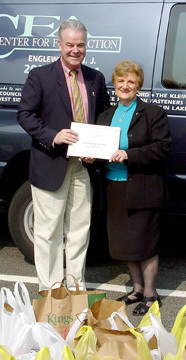 Bergen County Executive Pat Shuber presenting a "Certificate of Commendation". Bergen County Executive Pat Shuber, Thelma Fedele, CFA Director of Community & Government Relations, Assemblywoman Rose Marie Heck and Bill O'Shea. 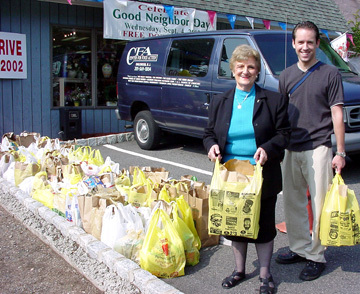 Assemblywoman Rose Marie Heck and Mike Kazimir making a food donation.